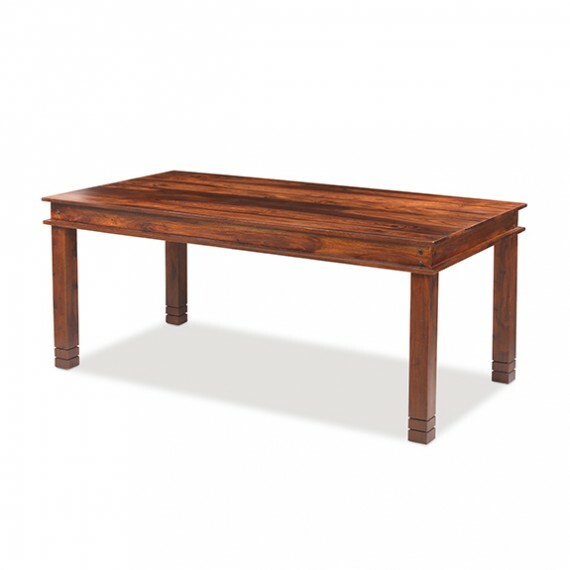 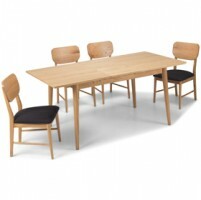 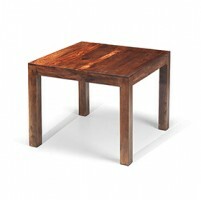 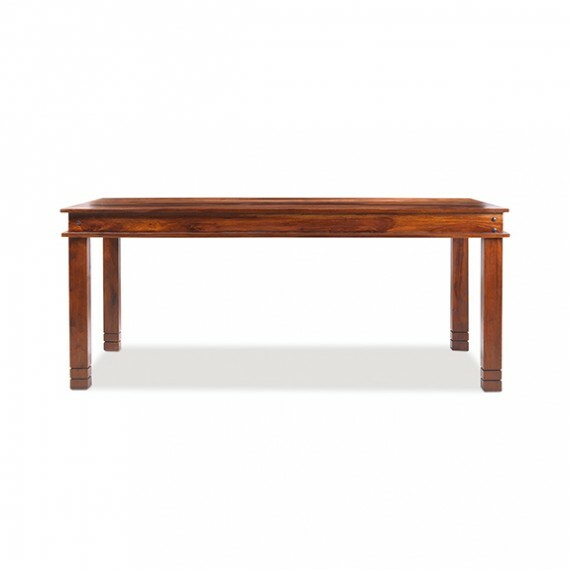 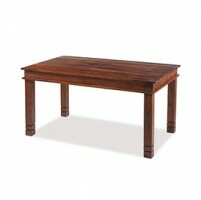 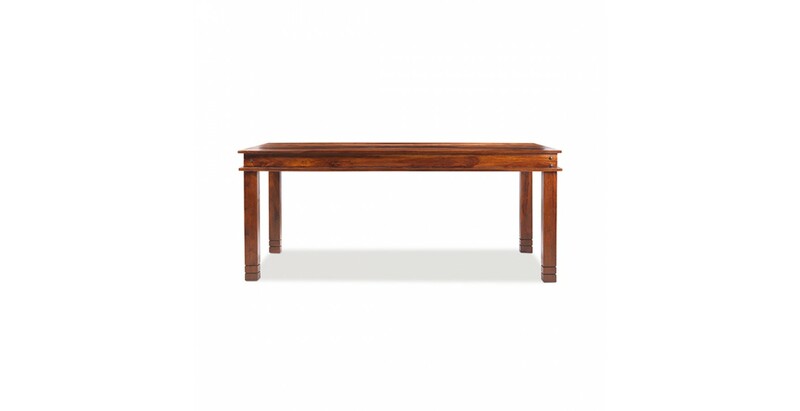 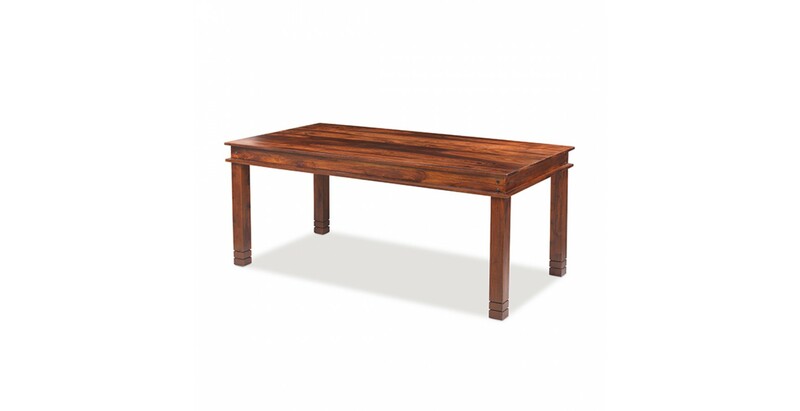 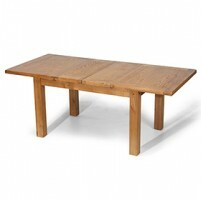 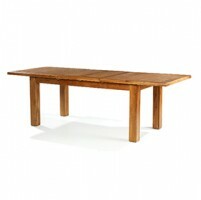 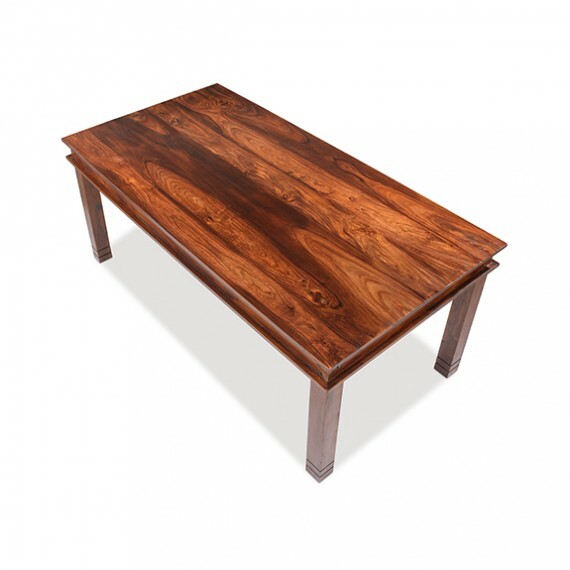 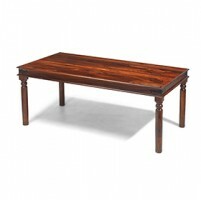 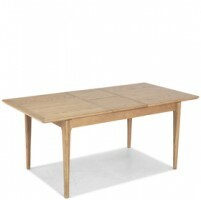 Combining classic colonial style with clean-lined modernism to make an impressive centrepiece for your kitchen or dining room, this generously proportioned table will lift any space. 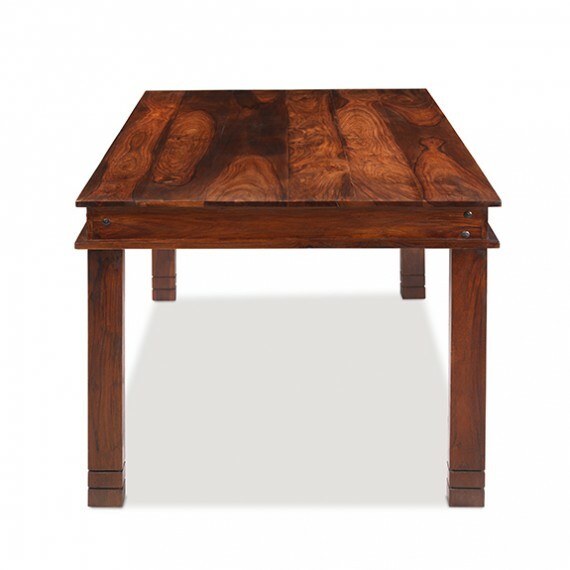 At 200cm long, it's big enough for everyday dining and entertaining alike and, because it's been handcrafted from durable sheesham wood, not only will it stand the test of time, it's one-of-a-kind too. 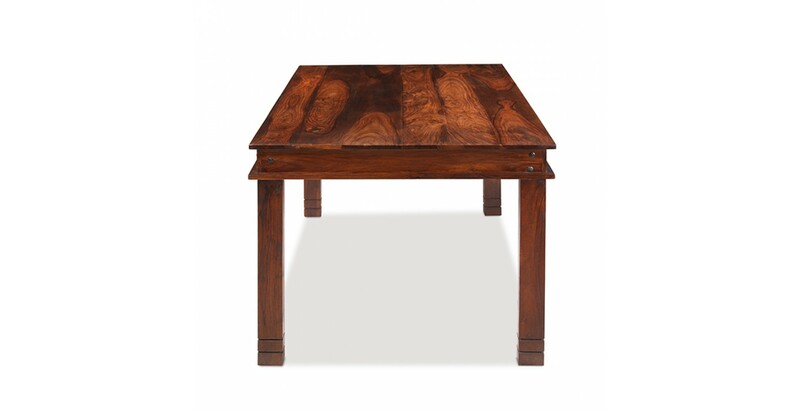 Standing firm on chunky square legs with attractive routed detailing, the iron stud work on the recessed border also adds to its charms. 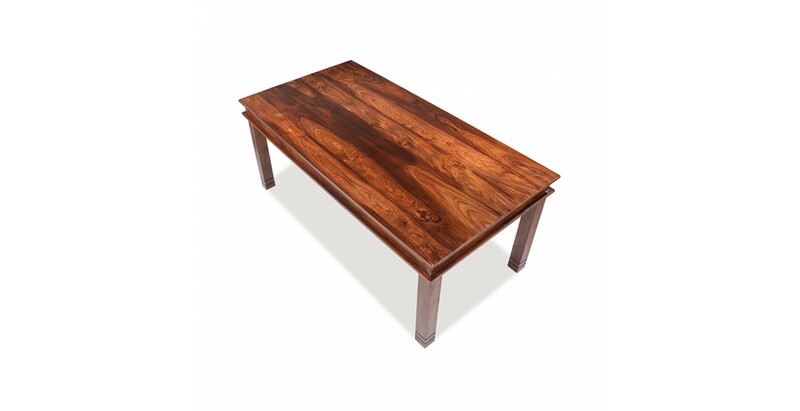 We think it'll easily seat eight but you might even get ten around it if needs be, and preferably they'll be sitting on our Jali Sheesham dining chairs.